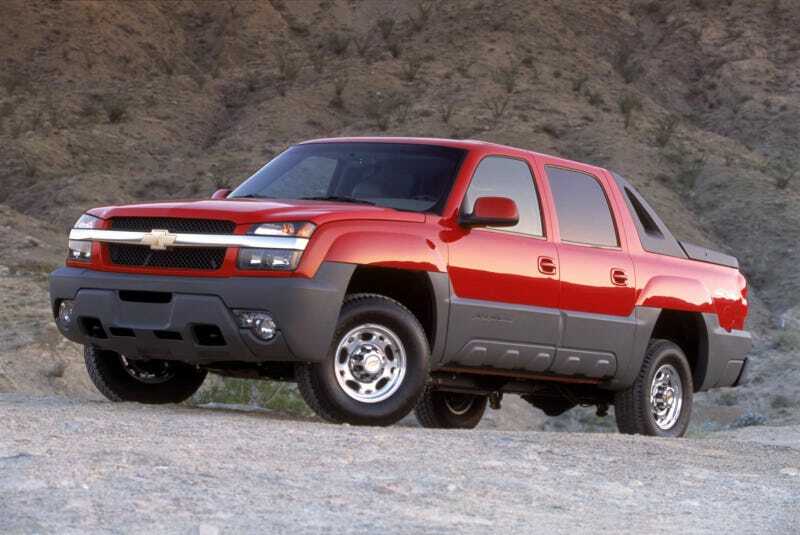 I really dislike the fake plastic “rugged enhancers” that were all the rage on vehicles in the early 2000's. Its not UV stable, it just makes the car look stupid and its not like it more durable, it scratches so dang easy. Also, the midgate...no I don’t want pickup truck things to come inside the cab. No I don’t want to have to choose between a 5 seater and a pickup truck. Its silly. Still, they were pretty durable, and you could even get them as 3/4 ton with the Vortec 8100 8.1 liter big block V8 that was just a 454 that they thought could use some extra cubes. 340 hp and 455 lbs-ft seem like a pretty crap use of those cubes but it was a helluva stout engine and can make lots more power with a little tweaking. Plus it had the 4L85E which is a transmission that can take more power. Having put about 400 hp and 550 lbs-ft though a 4L80E I can tell you it didn’t seem to mind too much. I hate the front, I hate the plastic, I don’t really like the midgate, but its got a 496 cubic inch engine, a bobmproof trans and coil springs all around. it could be worse.